What a gem! Hidden in the middle of our busy, traffic-filled city is the serene Theodore Roosevelt Island. 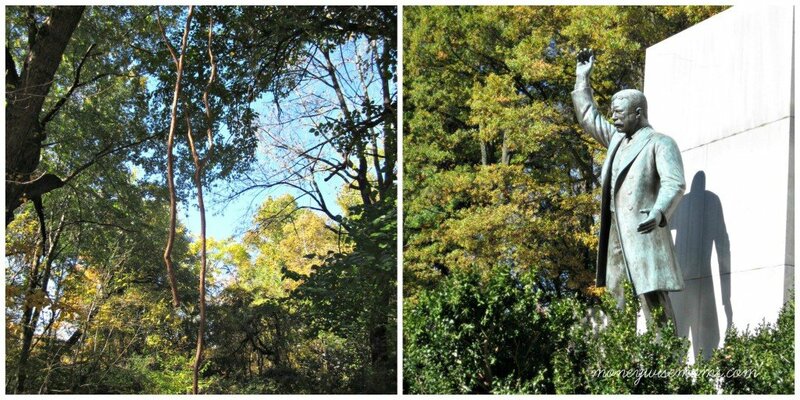 Maintained by the National Park Service, there are parts of the island where you can’t see or hear any of the DC surroundings, and it feels like you somewhere else entirely. We visited this month, so while we enjoyed the colorful leaves, we also had views of empty swampland; when you come in the spring and summer, the island is full of birds and critters you can view from the raised Swamp Trail boardwalk. The only way to reach the island is from the northbound lanes of the George Washington Memorial Parkway. 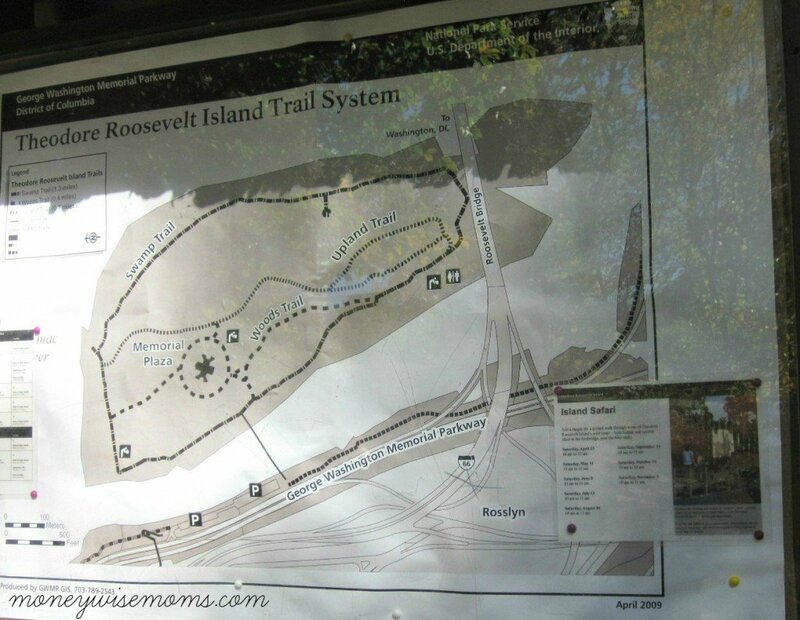 Basically, you’ll see a brown sign on the right side of the road, just after you pass the Roosevelt Bridge, which leads to the small parking lot. 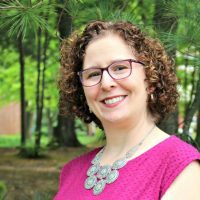 It can get quite crowded on the weekends, mostly with bikers who are using the paved trail that lead down the Parkway all the way to Mount Vernon. Once you walk over the foot bridge to the island, there are no bikes allowed, so you’ll have a great hike. There are lots of dogs on this trail, too, which my kids always enjoy. The outer trail is the perfect size for any family–just a mile and a half long–but be sure to head to the center of the island to see the monument and fountains. When you visit in the spring and summer, the fountains are a great feature for the kids to enjoy. My kids had plenty of fun running around on the steps and bridges, as well as climbing on rocks and looking for ducks and herons out in the Potomac River. 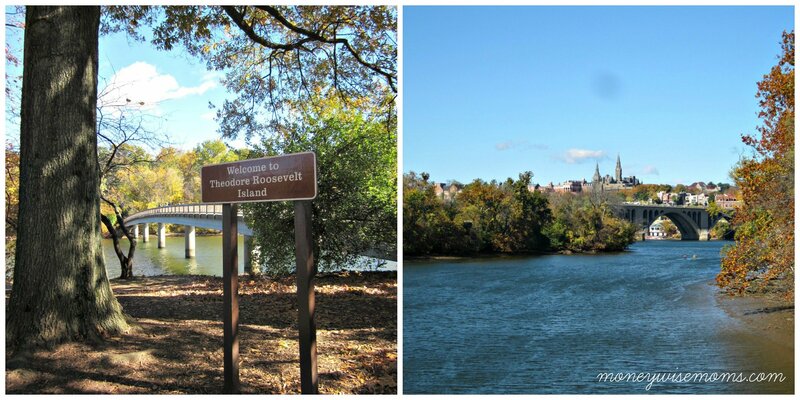 While walking, we talked about Theodore Roosevelt, since the kids only know about his name contributing to the teddy bear. His legacy is how he changed perceptions about America’s natural resources, creating the US Forest Service and conserving public lands for wildlife and bird refuges, national parks and monuments. Kids can complete a booklet for the Junior Ranger program and mail it in to NPS. Be aware that the island has very minimal service (i.e. no trash cans), so be sure that you take any picnic trash with you when you leave. 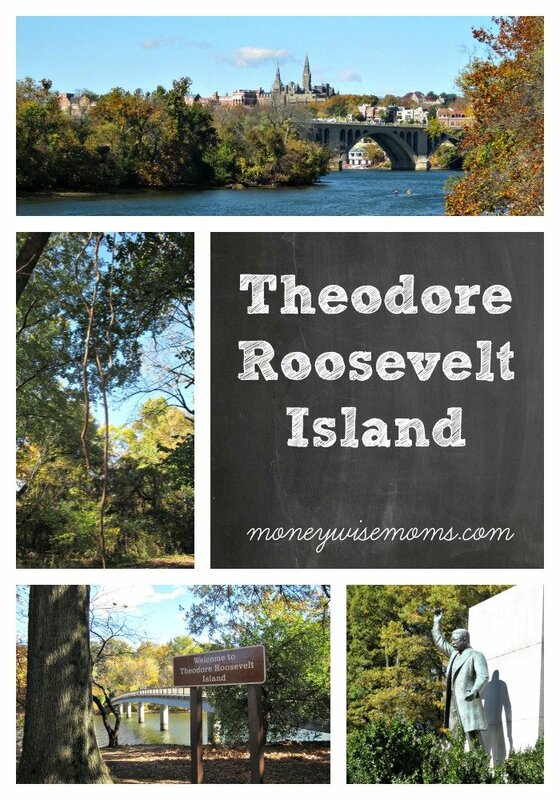 I hope you’ll visit Theodore Roosevelt Island with your family. 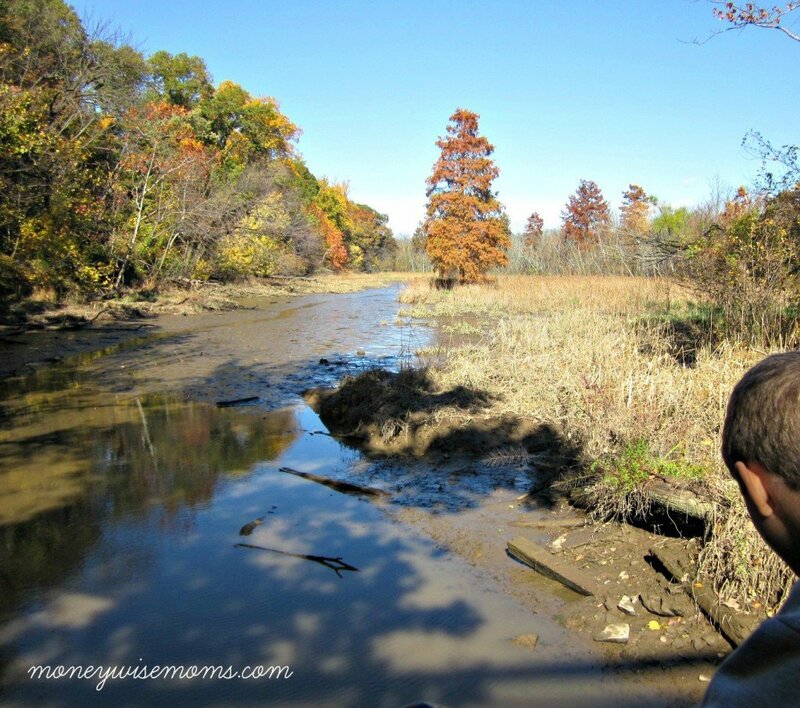 It’s a great Frugal Fun trip, and an easy way to connect city kids to nature. See the other Day Trips from DC in this series. Mid-Atlantic Family Trips board on Pinterest.